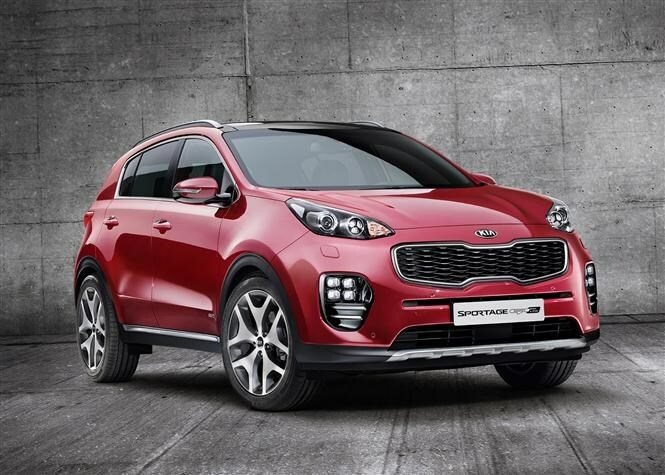 This new Kia Sportage has been given a bold new look and thanks to its bigger exterior dimensions, promises more space and practicality than ever before. The fourth-generation car also promises a better drive due to a new suspension set up, plus more powerful and efficient engines. Meanwhile a sporty looking GT Line trim joins the range powered by a 1.6-litre turbocharged petrol engine and can be specified with a seven-speed dual clutch automatic gearbox. The new car is 40mm longer overall, with 30mm added between the wheels, so there's more head and legroom for front and rear passengers. Boot space has also grown from 465 litres to 503 litres thanks to a wider luggage area. Improvements to cut road, wind and engine noise include extra dashboard insulation as well as new acoustic shields fitted to the engine, while sound absorbent materials in the wheel arches and thicker glass have been fitted. The front seats have also been redesigned with stiffer seat frames and springs to cut vibration from the road and reduce weight. They can also be heated or adjusted electronically. A wide, more driver-oriented dashboard makes use of metal and soft-touch material, and is split into two zones for display and the controls. Modifications to the suspension promise better ride quality and sharper handling, with improved damping over poor road surfaces. Engines found in the current vehicle will be used, although they benefit from modifications to improve fuel efficiency and power delivery. The standard 131bhp 1.6-litre petrol promises lower emissions and greater fuel consumption thanks to aerodynamic improvements to the new car. 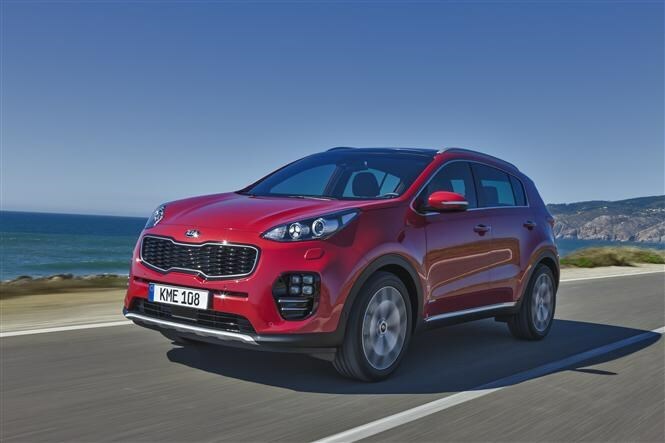 Diesel engines make up the majority of Sportage sales in Europe and you can choose from the 113bhp 1.7-litre CRDi engine and an upgraded 2.0-litre unit with either 134bhp or 181bhp. A new 175bhp 1.6-litre turbocharged petrol paired with Kia’s new seven speed dual clutch automatic transmission is also available for the first time and is fitted exclusively to the new GT Line trim. If you want the best of both worlds the new GT Line promises a dynamic look and feel with the same practicality as the standard car. You get dual exhaust pipes and a metal-effect rear diffuser too, plus a D-shaped leather steering wheel, piano black fascia and aluminium alloy pedals. There's a specific suspension set up which has been tested on European roads, and tuned to give sharper, more athletic handling and a firmer ride. Finally a new rack-mounted electric power steering system promises greater steering feel and a quicker response. 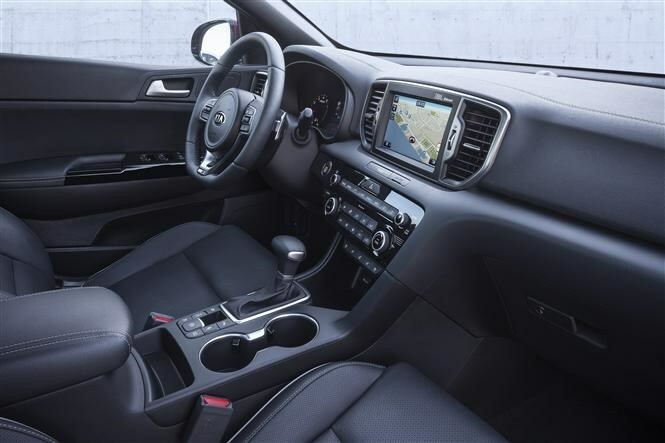 The Sportage benefits from the latest audio-visual navigation system, which uses a seven or eight-inch touchscreen. Safety is taken care of by a stronger bodyshell that uses ultra-high tensile steel, plus a range of active and autonomous hazard avoidance technology including lane departure warning, blind spot monitoring and high beam assist. 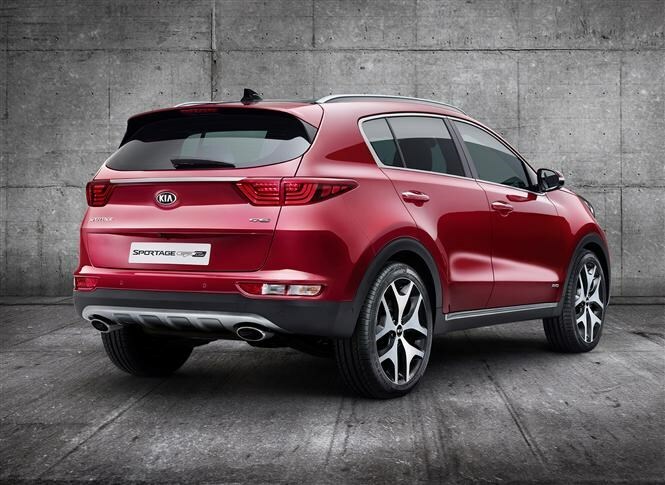 The new Kia Sportage will be on sale from the beginning of 2016. 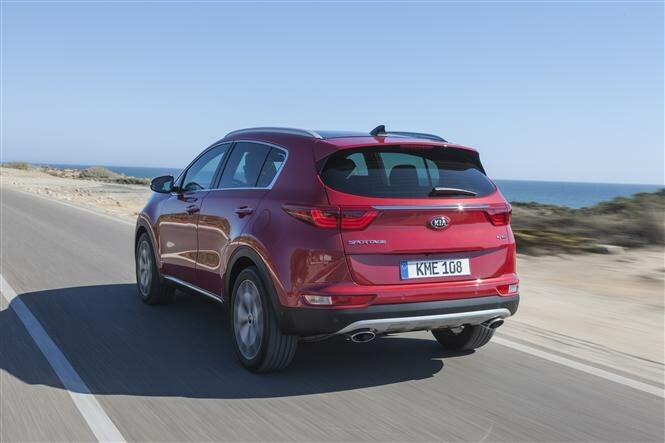 Click here to read our current full review of the Kia Sportage. 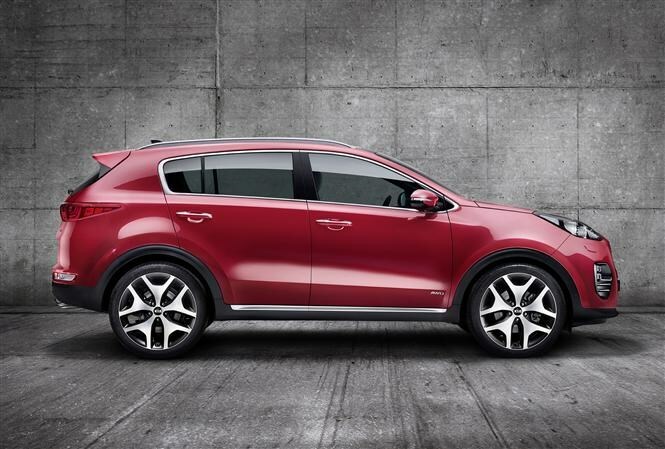 Did you know the most popular review for the Sportage range is the Kia Sportage review.